Sardar Dastur Hormazdiar High School is a recognized co-educational Secondary School which was founded on 24th February, 1998 by the Founder President, Sardar Dastur Hormazdiar Nosherwan Kaikobad Dastur, a well known person with wide philanthropic interests. Sardar Dastur Hormazdiar Dastur played an important role in the spread and promotion of education and remains a motivating force which has inspired us to move towards excellence over the years. The School follows Secondary School Certificate (SSC) Examination curriculum with English as the medium of instruction. Students are also prepared for various competitive exams like the Elementary and Intermediate Drawing examination conducted by the Government of Maharashtra, the Mathematics Scholarship examination for Std. VII and various other scholarship and competitive exams. Special emphasis is given to extra-curricular activities to develop all-round capabilities in the students. The students are encouraged to participate in sports, games, debates, dramatics, elocution, arts/craft and music. 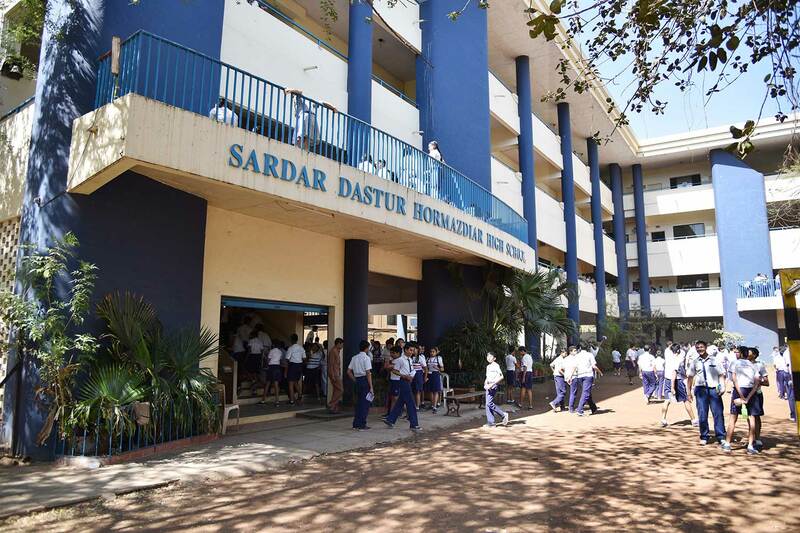 In a short span of 16 years of existence, the Sardar Dastur Hormazdiar High School has made a reputation of being one of the leading educational institutions in the city.